A few days ago I watched my friend Michael Conti’s film, The Unruly Mystic. The film is about his spiritual journey and his exploration of the life of Saint Hildegard of Bingen. I first learned about Hildegard from my botanist friend Jolie Egert Elan of Go Wild Consulting. Jolie is definitely an unruly herbal mystic. I guess I am one also, unruly in all kinds of directions. It turns out Micheal, Jolie and I, we’re in good company. The film was beautiful, well-done and lyrical, full of Saint Hildegard’s music and works. She was an extraordinary woman who composed music, wrote books, liturgy and healed people. She was a doctor of the church, like Thomas of Aquinas. She confronted emperors and popes and battled illness and injustices. She confronted and challenged the flawed ideas of her time about self-abuse and harm as paths to the Divine. She rejected the ideas of the body as evil and hatred of the body. She challenged people to engage with the Divine within and around us. She preached to armies, begging them to lay down their swords. She was in a relationship with Holiness, calling to her, moving through her, engaging and directing her and she heeded that call. Michael’s film shows us all of this through the people alive today who study her and engage with her and also through the vehicle of his own searching. It’s very moving. Michael Conti, the director and Producer of the Unruly Mystic, and I meeting up to exchange hugs and his lovely film. Saint Hildegard left a legacy of herbal remedies and writings about how stones, herbs, meditation and minerals can heal us. In Michael’s film we visit an institute in Germany which uses her techniques to heal people. We go around the world connecting with mystics, spiritual directors and seekers of all faiths, healers, curanderos, priests, professors, philosophers, nuns, monks, musicians and artists. Hildegard is often thought of today as the patron Saint of Creativity. She created many vibrant mandalas that are full of her visions. They are vivid, real, stunning and powerful. In today’s era, heeding the call of the Divine, is still thought of as crazy or radical. It’s never really a safe thing to pay attention to the other side, to the call of the wild, the earth, the angels, the Holy (however you conceive of that or connect to it). Once you listen, really listen, there are oceans full of energy, voices, and information. It can actually make you a little “nuts.” Not paying attention though, is truly dangerous. With our world full of mess, suffering, climate change and violence, the only way through into what Sakyong Mipham Rinpoche calls Enlightened Society, is to wake up and listen and start making a connection with the basic essential goodness of who we are. Once we do that we can move towards repair and mending and healing of the world around us. We can embody Tikkun Olam. So, being called unruly, makes sense, once you are able to hear the call of the Wild and Powerful Divine within, then you have to figure out how to translate that. If your message is true, it will survive naysayers, wars, eons, folks who cannot relate and it will come into the greater world. 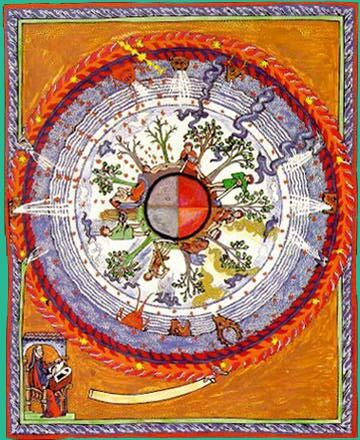 Hildegard of Bingen was hearing voices, healing, and channeling what she experienced in the Middle Ages. The films and books about her to date are numerous and she continues to emerge all the time. Michael’s film brings her into our time and connects us with her works, her songs and music and a whole world of people following her teachings, and most importantly, keeping her alive here and now. The film, the Unruly Mystic, is a great homage to her, but also a call to all of us, to listen, to still ourselves and to heed the call of our souls and whatever unruly messages exist therein. 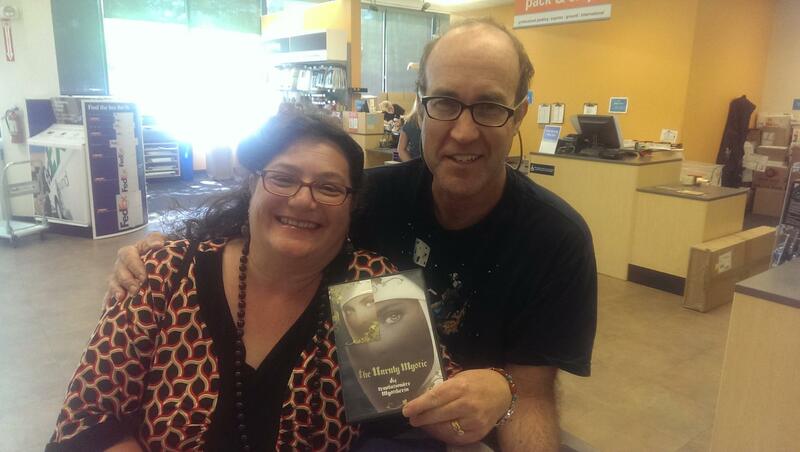 Michael lovingly called me an “original unruly mystic,” which I think is high praise. When I graduated from Boulder High in 1982, I was voted “most original individual” and “most radical.” I had to choose one of those and I think I chose to keep “most original.” I’m certainly also a radical. My radicalism today, if you don’t scratch deep, is harder to see. I’ve been happily married for 26 years, have children and a grand-child, drive a Prius and attend religious services. Doesn’t sound too radical. Scratch a little deeper and you find a lot more going on. My call, like Hildegard’s, is very personal and private at this time. I need to sequester myself, much like a nun, and indeed I am venturing into the Carmelite Monastic world, to find the quiet I crave to hear the Voice of Holiness within and without (in the stones, hills, rivers, mists, green growing beings and in the connection between my feet and the earth without pavement or roadway or power-lines to interrupt the feeling between myself and the planet). That’s a little more unruly! Especially since I’m a very Jewish extrovert. One of my radical actions is the engagement with multiple faith traditions. I’m very married and in covenant with the Jewishly Divine Presence in this world. I live and practice actively as a Jewish woman. Connecting with Muslims, Buddhists, Hindus, Carmelites, Quakers, Native Tribal Peoples and all the various iterations of Holiness, is the only way that makes sense to me. I have no desire to be right or make someone follow a tradition that doesn’t resonate for them. When we all reject the out-dated and dangerous model of separation and recognize that we are all one GIANT family of folks who connect to Holiness in our own personal ways everything gets luminous and wondrous. One should never assert that there is only ONE way to connect. The idea that anyone has to follow a tradition that doesn’t resonate for them is a little like preferring cucumbers over carrots and asserting that one is better than the other. Both are great vegetables, neither one is the ONLY TRUE VEGETABLE. Put them together with some other lovely greens and voila, we have a wonderful salad, Yippee, my favorite thing; a great salad. My current unruly act is to go off the grid, to reject the noise, volume of information, media and violence in the world and to take some space and time to rejuvenate, reinvent and reconsider my path on this earth. I am doing this alone without my husband, my friends, my teachers or my family. I am not alone though. I journey with Hildegard, with Rabbi Zalman of Blessed memory, with Reb Nachman of Breslov, with all the angels and other beings who inhabit my life. As I cross the ocean and move into the territory I will be traversing for my coming adventure, I cannot say what will be unfolding and that is tremendous for me and those who love me. My next actual landings will be in England, France and Ireland. Who knows what opportunities, voices, mystics, saints, and traditions will be calling me from there. It’s for sure they won’t be calling me on my cell-phone. May you find your own path towards your inner unruly soul and may it infuse your life with great meaning, value and depth and lead you into connection with all beings and into awakened love and life.